DISASTERS, DESIGNS, CARTOONS AND CONVENTIONS!! It's been like a hurricane here at the Mega64 HQ! So much has happened it's insane. Where to even begin? We tried to heal and move on from this devastating development, and we figured the best way to do that was wash it away with positive energy- the announcement of this year's GAMEDAYS 2018! It's gonna be November 10-11 in Anaheim. 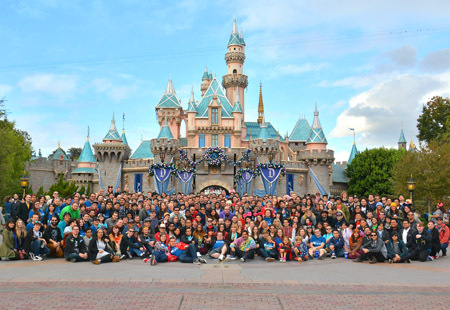 Day 1 is our own mini-convention event, and Day 2... we're going to Disneyland Park again! Last year was amazing at California Adventure. I think we all knew it would be a blast, but somehow, it still ended up topping the previous years. It was incredible. This year, we decided to take it back to the original Disneyland park, now that a lot of the closed portions/attractions from previous years are back in action. Maybe we'll bounce around from year to year, but 2018 felt like the right time to return to the happiest place on earth. Tickets are on sale now for our Day 1 event- you have until the end of the month (May 31 2018) to get the earlybird price before it jumps up. It really is the BEST weekend of every year- we can't say it more sincerely- you really need to come this year and see what it's all about! Go to our Gamedays page for all the info you need. So what else happened this week? Well- over on YouTube we saw a brand new "Mega64nimation!" In case you don't remember what that is, it's when some of our classic podcast moments get animated by some of our favorite crazy artists. This new one by Ratbag Animation is a cartoon retelling of "The Greatest Underdog Story," about types of movies you've totally NEVER seen before. Totally. Watch it below. We may have some more of these coming down the pipeline, but hit up our Patreon if you want to see it be a regular thing. And last but not least- there's one new clothing design we debuted this last spring at PAX that sold out completely. We've gotten an insane amount of demand to bring it online, so we finally got it together and opened preorders! You have until the end of Sunday night, May 27th, to get your preorder in to guarantee your size! Just a quick note before we leave you. We've recently announced that we're coming to Anime Expo in Los Angeles, San Diego Comic Con, and RTX Austin this summer! Stay tuned for more info on all those events! 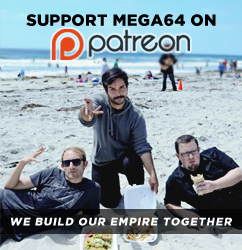 Thanks for being with us this week, and all weeks, here at Mega64! More fun to come!